Does Turning on the Air Conditioner With the Cover on Break It? Never run an air conditioner with its cover on. Air conditioners need to exchange heat and condensation in order to function efficiently, and when an air conditioner runs in a condition where airflow is not optimal, the appliance's components get compromised. While mistakenly, briefly powering on an air conditioner is not likely to immediately burn it out, an air conditioner that is covered will not be able to cool the air and is likely to quickly overheat and burn out. Don't run your air conditioner if the vent grille is blocked. Air conditioners work by taking in indoor air and blowing it across cold copper coils filled with refrigerant. These coils absorb the heat in the air and pump it outside the home, where it is dispersed. 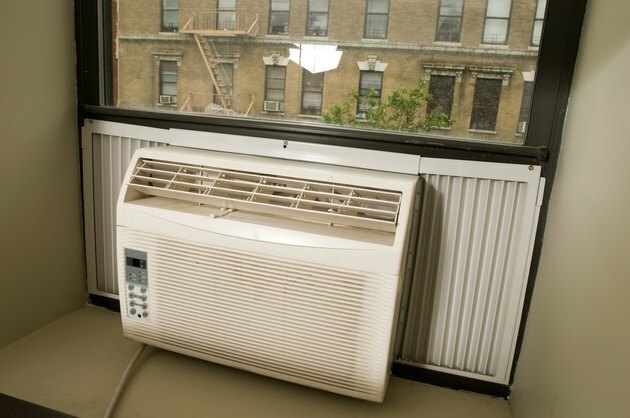 Air conditioners also remove humidity from the air, and the condensation drains away from the unit. Running an air conditioner with its cover on does not allow for this exchange of heat and will put undo stress on the unit. Condensation needs to drain from window or wall air conditioners in order for the unit to run effectively. 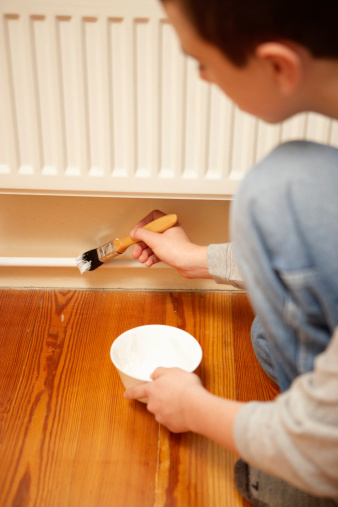 Condensation gathers when hot indoor air comes in contact with the cold refrigerant coils. These coils "sweat" in the same way a cold glass of water sweats in a hot room. If the air conditioner cannot effectively drain this water because it is covered, the unit may sense condensation overflow and shut itself off. Some people cover their central air conditioners' outside components in seasons when the air conditioner is out of use, as they can be costly to repair or replace. Leaving the cover on such a unit can be more costly, however. The inside of a central air conditioner's outdoor condenser is lined in copper coils that absorb heat from inside the home. There is a large fan in the center of these coils that cycles air through the unit and allows for the dumping of heat. If the cover remains on, these coils cannot cool, so the air cycles back into the home hot. This causes the air conditioner to run longer and can lead to damage to the unit. Many central air conditioners have outside power shutoffs located near their condensers. When you cover your air conditioner for winter, it may be a good idea to turn the power off at that location. This way, in the summer, when you turn on your unit you will have a reminder that the unit is covered, and you can uncover it when you turn the power back on. Can I Put an Air Conditioner on Its Side?